The patient is the central figure in any neurorehabilitation process. Therapy results are substantially dependent on the patient's attitude, commitment and persistence. With this in mind we created Neuroforma - an inviting tool which motivates patients to exercise, guides them and stimulates their cooperation with a therapist. Neuroforma exercises involve multitasking - they combine motor and cognitive aspects, simulating the character of everyday tasks. Neuroforma is intended to become a whole family of tools supporting therapy: from a tool designed for physiotherapists and cognitive therapists working with patients in institutions or at home, through a tool for patients to exercise at home on their own, to a telerehabilitation tool allowing therapists to monitor and control the progress of patients exercising at home. The ideal model assumes that patients exercise according to a personalized program created by a therapist to suit their needs. The patient can work individually at home, while staying in touch with the therapist through systematic live therapeutic sessions. This is the goal we’re working to achieve. Although it doesn’t replace specialists, in their hands Neuroforma can enrich and enhance the rehabilitation process. 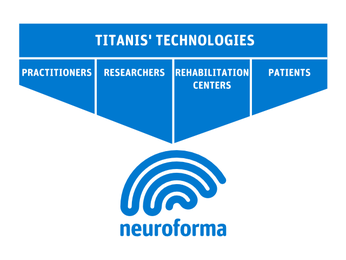 Neuroforma is created by Titanis. Titanis specializes in the development of modern computer technologies in cooperation with interdisciplinary research teams using intensively developed high-tech computer technologies and solid scientific knowledge to create products that are both needed and useful. Therefore, Neuroforma is created with the cooperation of science institutions, rehabilitation centres, experienced therapists and neurorehabilitation and neuropsychology experts. Neuroforma is a result of the cooperation of people and institutions united in the idea of creating rehabilitation tools which are advanced, both technologically and content-wise. Among them there are practitioners, scientists, leading rehabilitation centres, as well as patients. Olga Szymańska - clinical psychologist with 30 years of experience in neuropsychology and neuropsychological rehabilitation; long-term assistant in the Neurosurgery Clinic at Warsaw Medical Academy; academic teacher; proponent of holistic approach in neurological therapy and rehabilitation; in her spare time she enjoys logic games, good food and criminal mysteries. Magdalena Socha - physiotherapist specializing in neurorehabilitation; long-term assistant in Neurosurgery Clinic at Warsaw Medical Academy; certified in PNF, cranio-sacral therapy, soft tissue therapy, taping in neurology; proponent of holistic approach in neurological therapy and rehabilitation; ex-athlete, Polish Athletics Association and Polish women's national volleyball team's physiotherapist; her hobbies are archaeology and travelling, she enjoys the Mediterranean climate in particular. Sylwester Kareńko - hand therapy specialist in the Dąbek MS Rehabilitation Center; working on a daily basis with patients, both individually and in groups; user and co-creator of Neuroforma from its very beginnings up to this day; an enthusiast of new, valuable solutions with the potential to motivate patients to work at home. From the very beginning, Neuroforma has been developed in cooperation with the scientific community. We believe in the “little steps” strategy - from an initial version based on practitioners’ and researchers’ knowledge, through development of new diagnostic and therapeutic methods, to clinical trials. Together with the Department of Clinical Neurophysiology at the Psychiatry and Neurology Institute, the Mossakowski Medical Research Centre of Polish Academy of Sciences, the Faculty of Psychology at the University of Warsaw, as well as other research centres in Poland, we work on research projects verifying Neuroforma’s scientific bases and its clinical effectiveness. We cooperate with distinguished researchers, whose commitment guarantees Neuroforma’s high standard and reliability. 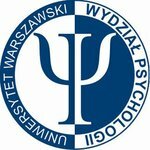 In cooperation with the Faculty of Psychology at the University of Warsaw we conduct projects aimed at creating and optimizing Neuroforma’s content. In January 2014, we started the next stage of use case testing with clinical neuropsychology students. 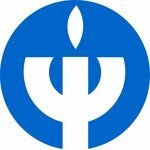 Read about all our projects and science partners. Cooperation with exemplary rehabilitation centres such as the ones mentioned below gives us the assurance that the things we do are not only innovative, but also needed and well grounded in reality. The Dąbek MS Rehabilitation Centre is one of the biggest institutions specializing in the rehabilitation of people suffering from multiple sclerosis in Poland. Neuroforma has been tested here since its prototype versions. 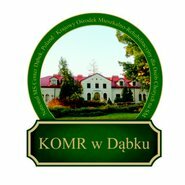 The MS Rehabilitation Centre in Borne Sulinowo is a leading Polish institution for the rehabilitation of patients suffering from MS and other neurological disorders. This is where we test Neuroforma and where we are developing the telerehabilitation concept which facilitates continuous cooperation between the Centre and patients at home. The end users of Neuroforma - both home and therapists’ editions - are patients. Therefore it’s only natural that they participate in the creation of the program. Their comments and insights give us valuable feedback and help us design a user-friendly program tailored to their needs and abilities. Thanks to the help from the Polish Multiple Sclerosis Society and the Polish Huntington’s Disease Association and Ataksja Polish Association of Families with Spinocerebellar Ataxia we are able to reach a wide group of patients, who test and give their opinion of our solutions from the beginning.